The Hooiberg, a 165 meters high volcanic formation, is located almost in the middle of Aruba. 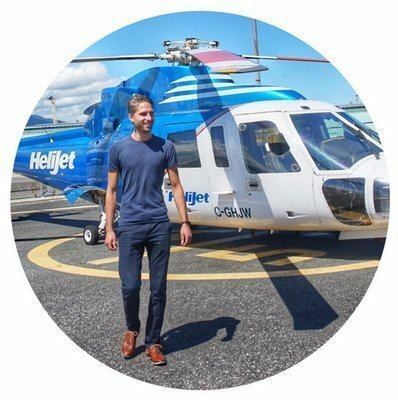 On a clear day it is possible to see Venezuela from the top. The Hooiberg is a 165 meters high volcanic formation on the Caribbean Island Aruba. 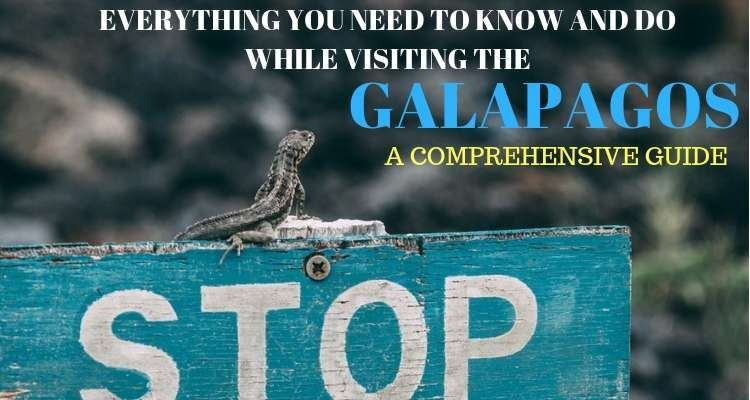 It is located almost in the middle of the Island and can be seen from almost every place on Aruba. 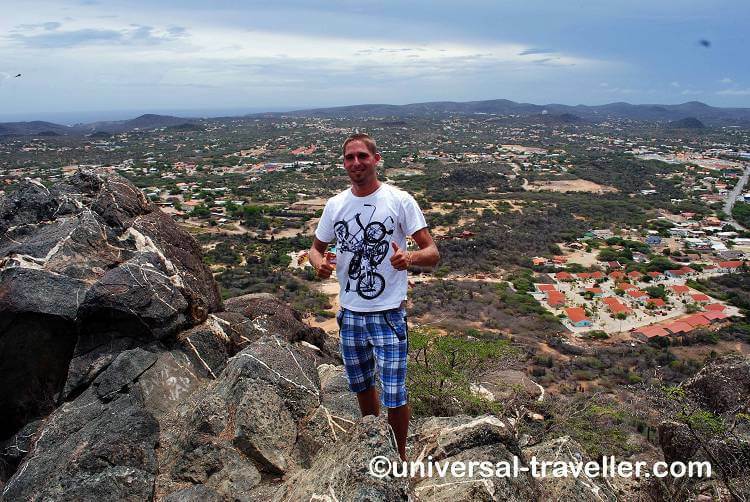 Although it seems to be the highest point on Aruba it is in fact only the second highest. The Jamanota hill in the Arikok National Park is with 189 meters slightly higher. The name Hooiberg means translated haystack. In 1951 the first stair with 900 steps were built. 35 years later in 1990 the government placed an order for renovating the stair. One year later the current stair were finished that consists of about 587 steps. 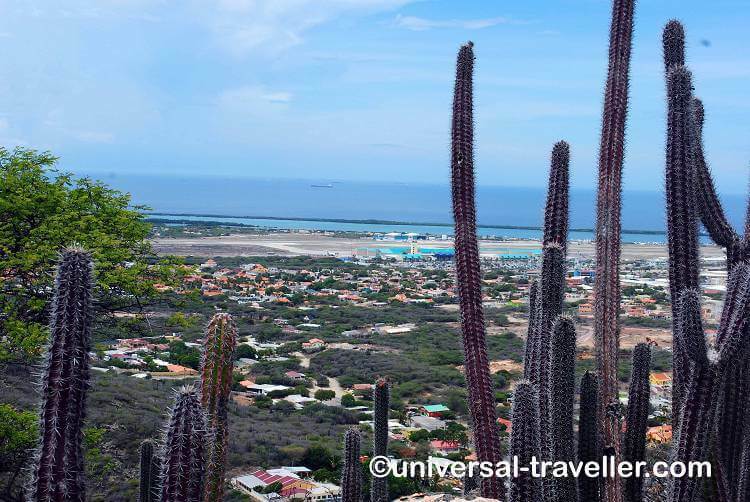 Once at the top you can enjoy a beautiful view of Aruba. On clear days it is even possible to see Venezuela. On the peak there are a few antennas and two buildings; one of a radio station and one belonging to a local telephone company. 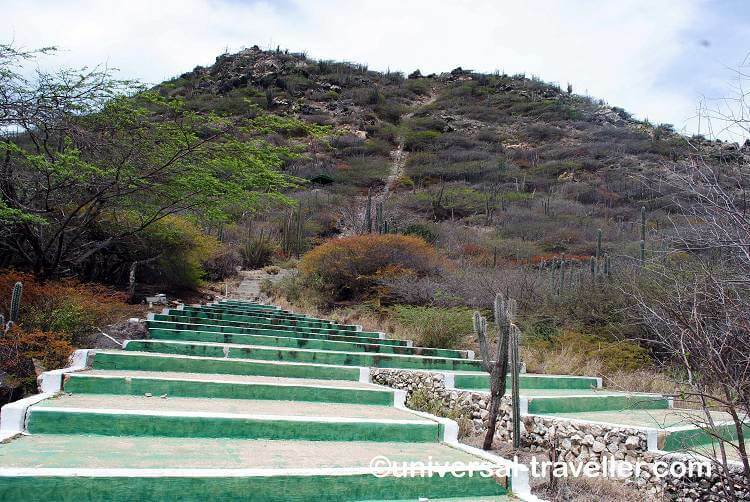 On your way up you will pass cacti, divi-divi trees and some Kibrahacha trees that will flourish and decorate the Hooiberg with beautiful yellow flowers after a heavy rainfall.